On sale! 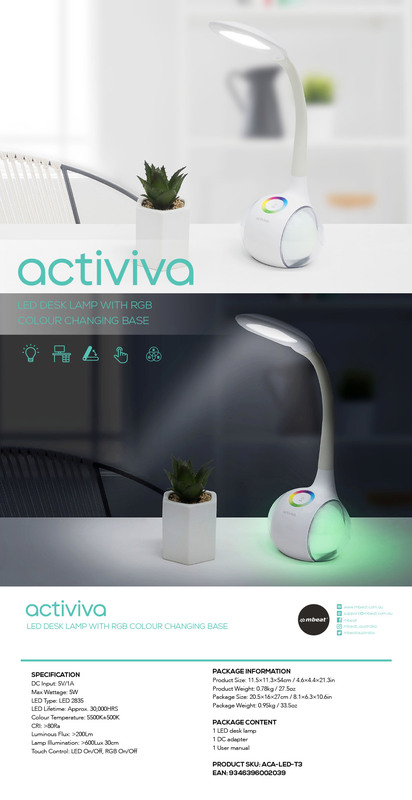 (normally $59) The mbeat actiVIVA LED Lamp is a fun LED lamp which combines daylight and nightlight functions. A colour changing base glows in the colour of your choice, while the rubberised flexible neck allows for a super wide area of illumination and flexibility. It features a touch sensitive control panel with 3 brightness settings.